After leaving the Lost Village of Tide Mills we reached the eastern bank of the River Ouse. 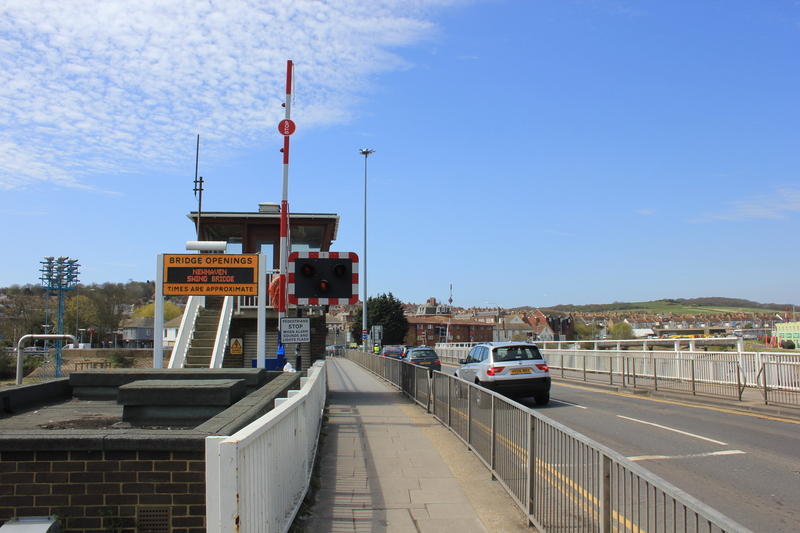 The Ouse splits Newhaven in two, and we had to walk inland to the closest crossing point, a swing bridge. The swing bridge is the second such bridge to be built here. The original one was constructed in the 1860’s, approximately 100 yards downstream. 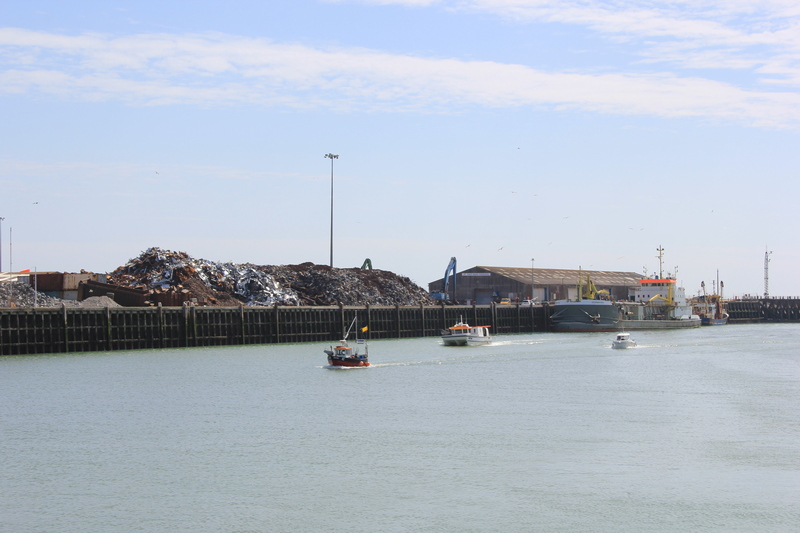 It was a road and tramway, and some of the loads it supported across the river included the materials used in the construction of the breakwater at the harbour entrance. It remained in existence for some 100 years. This is impressive, for it was not designed to withstand modern transit loads. Weight restrictions had to be placed on it from 1948 onwards. 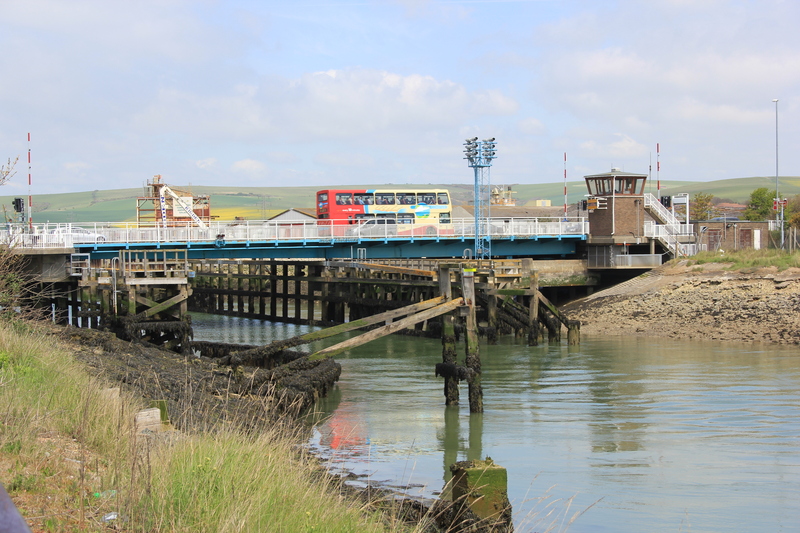 In August 1965 it was decommissioned and sold for scrap, and replaced by the modern swing bridge in 1974. I was hoping we might be able to see the bridge in action, but it was not to be. Looking at the Port Authority’s website and finding that the next scheduled opening time is “No Scheduled Openings”, I wonder how often the bridge is used now. Standing guard at the entrance to the bridge is a cormorant, sculpted by local Newhaven artist Christian Funnell. We passed at low tide; to me the cormorant appeared to be perched uncomfortably high. At high tide, the waters literally lap at its feet, and I suspect it feels more at home. 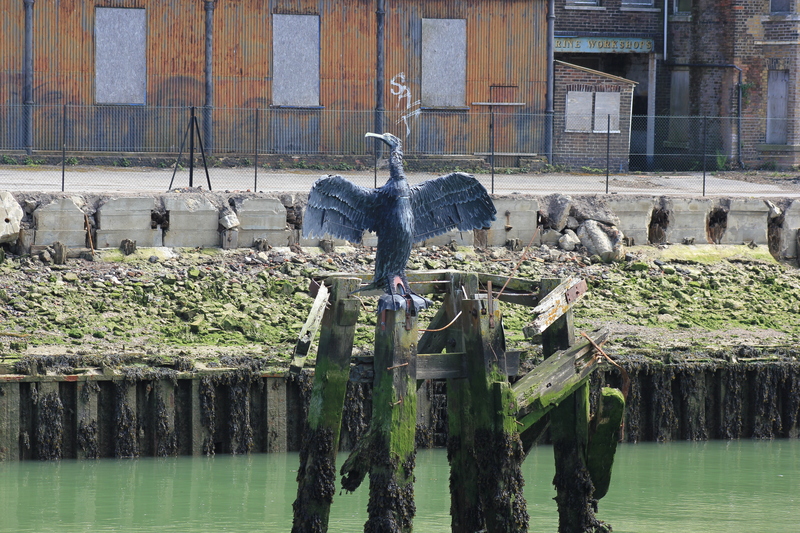 The people of Newhaven seem to like their cormorant statues. We saw two more on the west bank as we walked down to the marina. The two banks of the Ouse contrast completely with each other. On the east bank is the industrial harbour, bristling with scrap metal and dominated by industrial buildings, many of which seemed to be vacant. 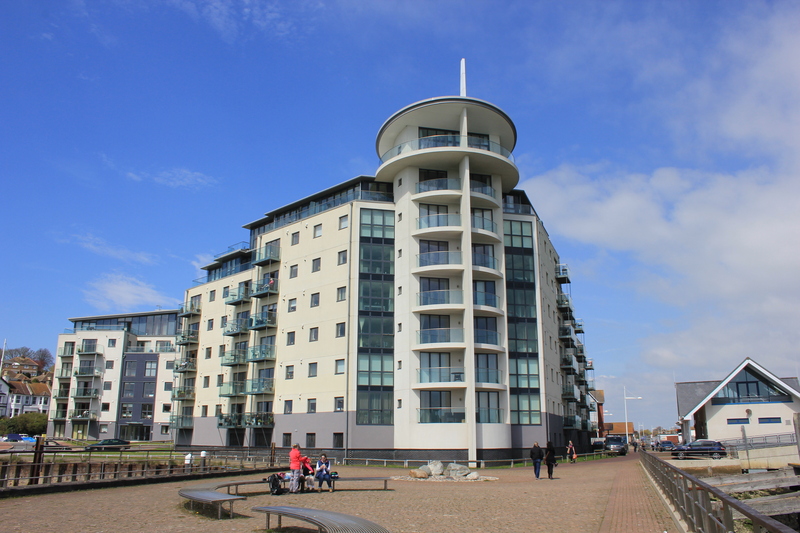 The west bank, on the other hand, is home to a marina development, including new apartments. In front of the flats we found a paved area overlooking the marina. 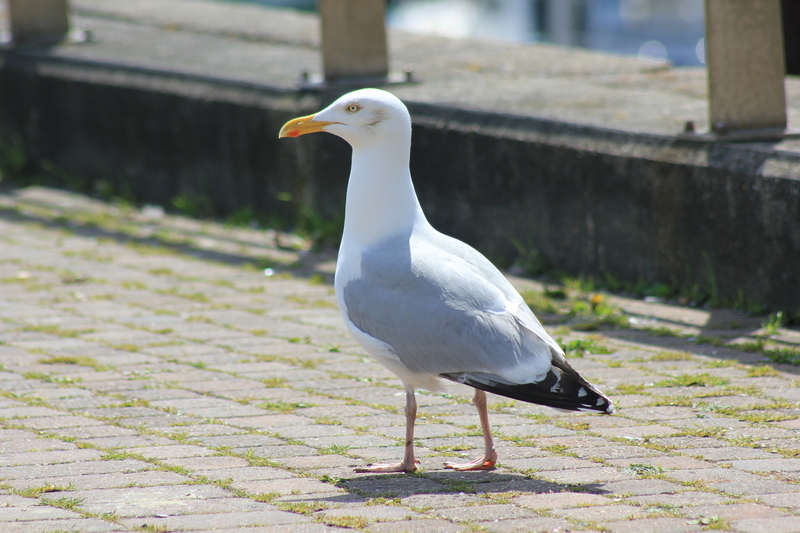 We sat down to eat our lunch and were observed by seagulls who, unlike many of their greedy brethren, kept a cautious distance from us and waited for scraps of food to be proffered. This entry was posted in East Sussex and tagged coast, cormorant, newhaven, river ouse, sculpture, seagull, swing bridge, travel, walking. Bookmark the permalink. Hello, I found several sculptures of cormorants in Newhaven, are they all Funnel’s creation? Thank you.